Stop Deliveries of Drugs, Weapons, and Cell Phones to Your Facility. 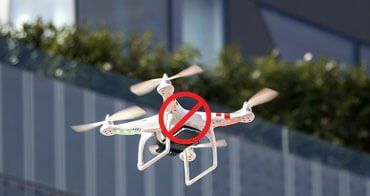 Drones can be used in a variety of ways, including smuggling contraband to inmates and surveying prison property to collect information about guard details and security protocols. Secure your airspace against all drone threats. Fewer Drones = More Safety. Greatly reduce attempts to deliver weapons or smuggle drugs and cell phones. Stop attempts to survey the prison area and collect images, videos and sensitive information. Collect data on drone activities near the site, recurring drone intrusions, drone models, etc. 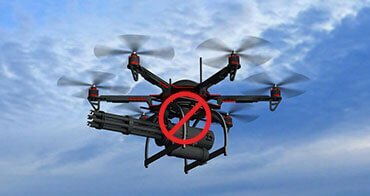 Prison officials can take the following countermeasures when a drone is detected in the prison airspace. Track the drone's flight path and determine its destination. Use drone path and triangulation to find the location of the pilot. Alert officials about drone intrusions and drone path so that they can intercept any contraband or take appropriate action. Lock inmates in their cells. 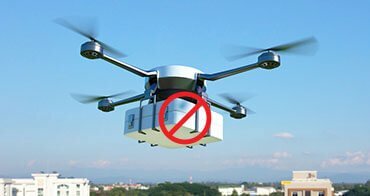 Use a jammer or spoofer to disable the drone when legal. Capture video evidence in addition to recorded flight paths and drone information to assist in further investigation. Three people were arrested after trying to use a drone to deliver drugs and cellphones into a state prison in Ionia. The drone dropped a package near the housing unit, then returned to drop an additional package near the same area. The drone crashed to the ground while delivering contraband to inmates at Washington State Prison in eastern Georgia. It was carrying 4 Samsung Galaxy cellphones, 7.8 ounces of tobacco, a USB charger cable, a pound of marijuana and 31 C-230 Oxycodone pills. A drone was used to deliver wire cutters to a convict serving life term. The convict then used the wire cutters to escape out of a maximum security prison in South Carolina. 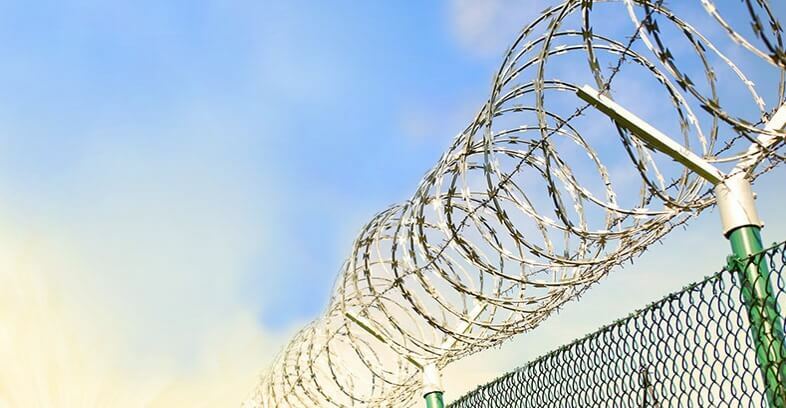 The drone accidentally hit a razor wire, which caused it to crash in the yard. A package attached to the drone using a fish line was carrying two 12 inch blades, meth, heroin, cell phones, a cell phone battery, two packs of cigarettes, and two tubes of super glue. A drone dropped a package of drugs into a prison yard at the Mansfield Correctional Institution. The drop sparked a fight between inmates who were outside in the yard at the time. We use an array of sensors including RF detection, video, audio feeds and triangulation to detect drones, track their flight and locate the drone pilot. We integrate with your existing security infrastructure like alarms, video cameras and access control and with third party products like jammers and spoofers. Learn more about how to detect, classify, and mitigate all drone threats.